Mt. Hood Skibowl is in Government Camp – east of Portland and far below the larger resorts up the road: Timberline and Mt. Hood Meadows. The resort is mostly known for night skiing, but locals know that it has some of the best challenge in the area. Powder magazine called it “The best terrain on Hood”. 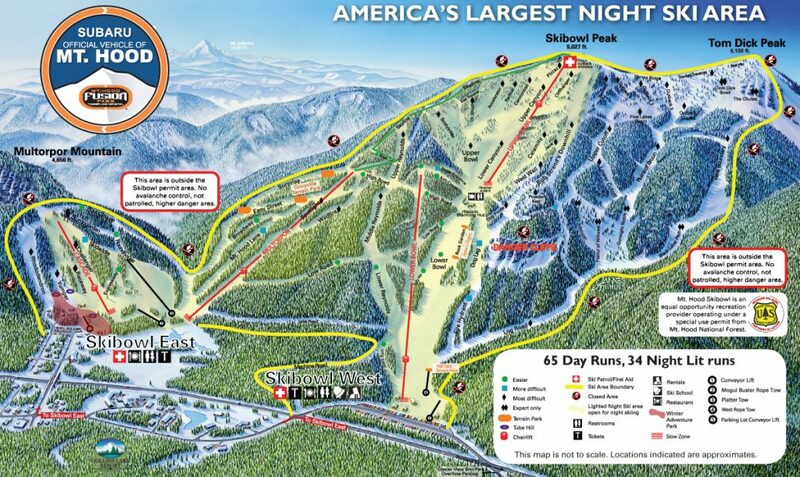 Skibowl was a late addition to the list. It happened when we went to Government Camp to ski the more well known resorts Timberline and Mt. Hood Meadows. 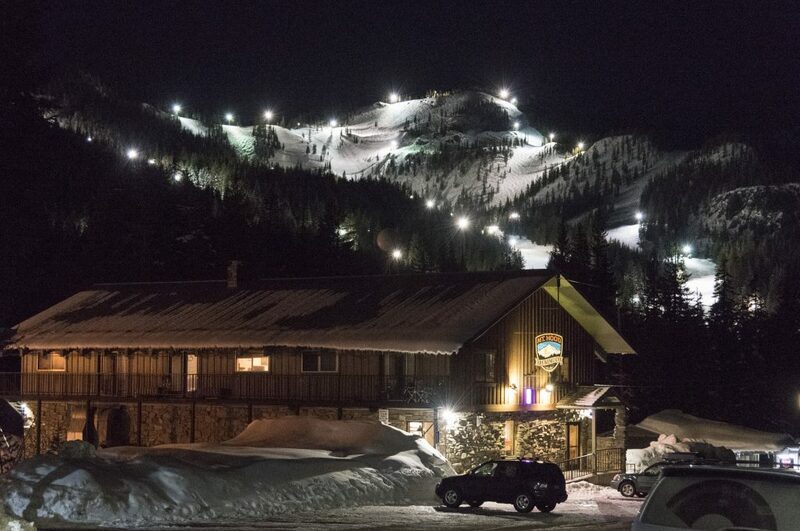 When we arrived at our Hotel at night we couldn’t help but see the steep slopes at Skibowl lit up for skiing. We were intrigued because it looked like good challenging terrain and decided to give it a try. We only had 2 days at Mt. Hood, so we had a very long day that started at Timberline. We skied until 3PM and then went back to the hotel for a couple of hours before getting back out there at 5PM at Skibowl. It was ladies night so we only paid about $50 for 2 tickets. There are 3 ski pods for night skiing on weekdays. The only open base area when we were there was the main Skibowl West base. 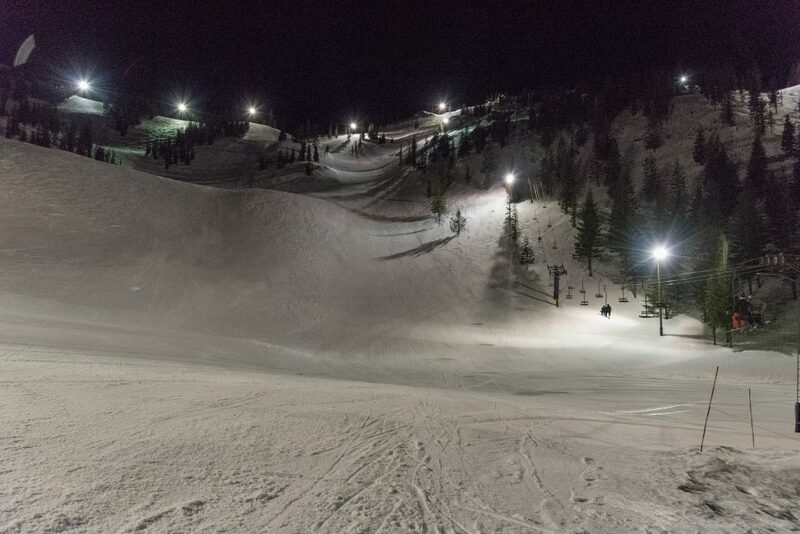 This is one of 3 double chairs open that night and it serves mostly green terrain. This is where most of the people were and although marked green, it would be considered intermediate at many resorts. Next up, and the main attraction for us is the Upper Bowl lift. Frankly, we were a little intimidated on our first ride up that chair. 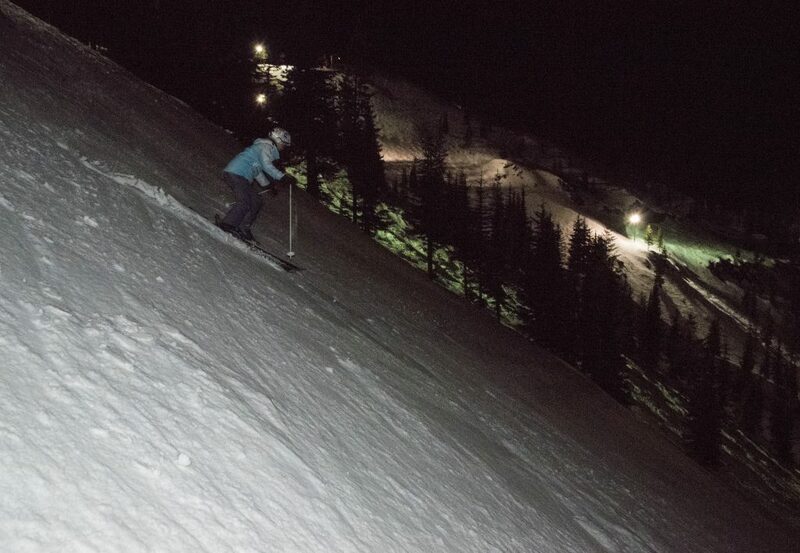 It’s steep, it’s dark, and there is no safety bar on the chair so it spooked us the first time. At the top you roll over the summit and have to immediately deplane or take a bullwheel ride. I was skiing with a backpack holding my “big” camera and lenses because I needed extra horsepower for taking night shots, so it was pretty challenging loading and unloading the ancient center-bar chair. 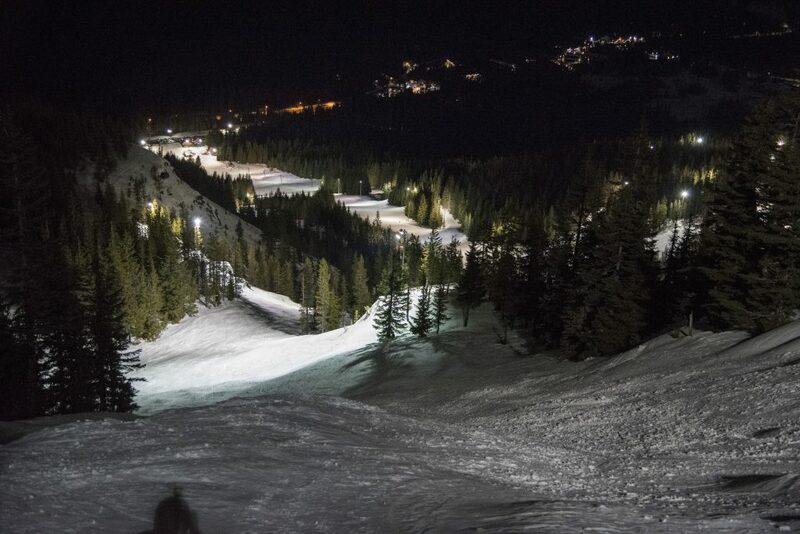 The terrain up there is likely to be the steepest night skiing terrain in the country. They groom many of the runs and they are all single black diamond rated, but these would be double-black at many resorts and they are some of the steepest groomers we’ve seen. There was hardly anyone else skiing Upper Bowl so we felt like we had it all to ourselves. 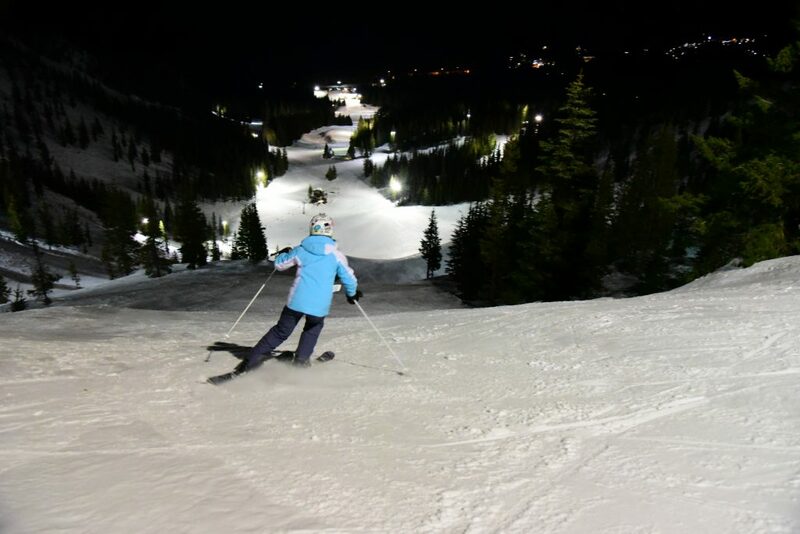 We skied all the blue or black groomed runs that night, and had a blast doing it. The snow was “firm” where not groomed, but it was skiable so one of the most interesting runs of the night was a traverse under the lift skier’s left to Bob Strand’s Downhill. It was ungroomed and pretty dark in spots. That is the last run on that side of the mountain that is lit for night skiing but it would be great to try some of the others further over in the daytime because it gets steeper the farther over you go. We had dinner in the base area cafeteria. This was nothing special, but it’s inexpensive. It’s interesting that this small resort has 8(!) restaurants. The mid-mountain cabin called the “Historic Warming Hut” looks interesting and there are 2 bars to choose from at night. Again, we had the place mostly to ourselves and I felt like I had travelled back in time to my youth skiing the small club ski areas in Western New York where families bring their picnic baskets and sip hot chocolate out of thermoses. After dinner we went over to the Multorpor ski pod. Multorpor was originally a separate ski area but the two areas were joined as one in the 60’s. The Multorpor chair has only 600 vertical drop but with some interesting very narrow intermediate runs. It feels like a trip back in time skiing that terrain and it’s really fun. 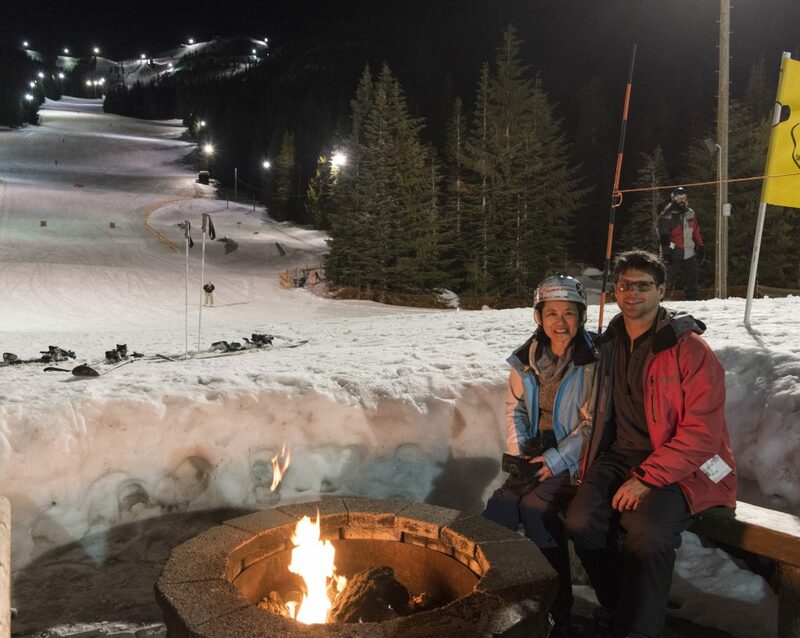 We skied until closing at 10PM and sat around the fire at the base for a while, reluctant to end such a great night. 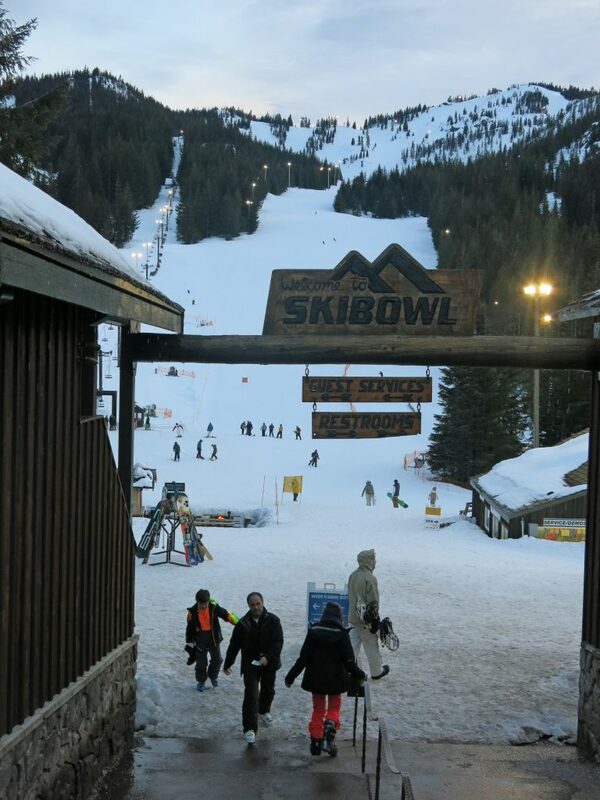 Skibowl was one of the most enjoyable experiences of our 16/17 season, but it’s not really a destination resort, and the other 2 resorts nearby aren’t really something we would travel for either. 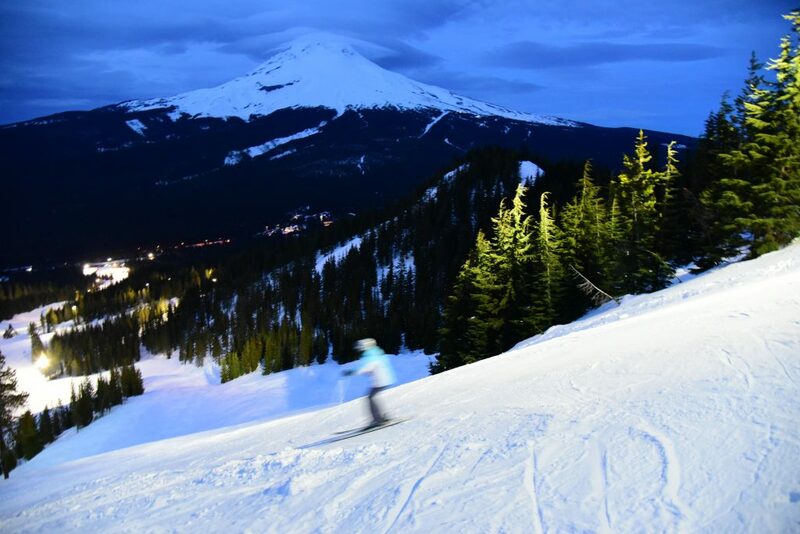 Still, if we are in Portland in the winter for some reason, we would love to drop in for another fun night of skiing.